Bridge Foot Cottage is a beautifully refurbished and unique large stone property nestling on the banks of the River Derwent, in the pretty Peak District village of Baslow. 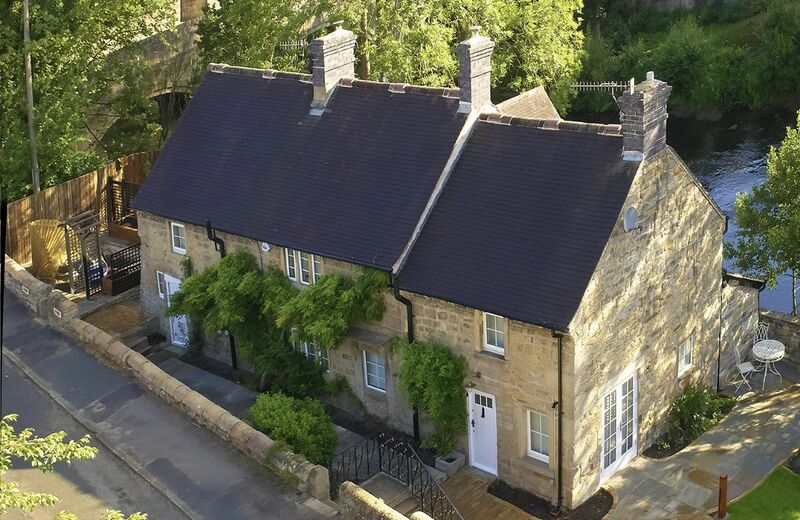 Refurbished to a high standard, the cottage is just a 15 minute walk away from historic Chatsworth House and its surrounding park. Beautiful property, secure garden for dogs, excellent condition with lovely hamper and toiletries on arrival, made it really special. Really easy to book and deal with owner to collect keys, will definitely stay here again! We had a wonderful time staying at this beautiful cottage. The owner was really welcoming and nothing was too much trouble for her. The cottage was really well equipped, with the warm feel of a country cottage whilst having the benefit of mod cons (WiFi, lovely walk in shower, and two lovely baths). Our dog loved it too and settled into country life very well indeed! What a lovely review for Cherry Cottage. Thank you so much. The cottage was well equipped and the owner very nice. The garden was secure for our dog which was very helpful. I did find the en suite bathrooms odd without doors. Still on the bathrooms there is only one proper shower and at this price I think two would be normal. Overall though a nice place for a relaxing two weeks. Thank you for your review for our lovely property Cherry Cottage. The quirky design of the bathrooms is very much personal choice and as well as the shower there are, of course, baths in each of the en-suites. This was the first time that we have booked with Rural Retreats and were not disappointed with their service. As for Cherry Cottage. It's idyllic, a really home from home cottage. 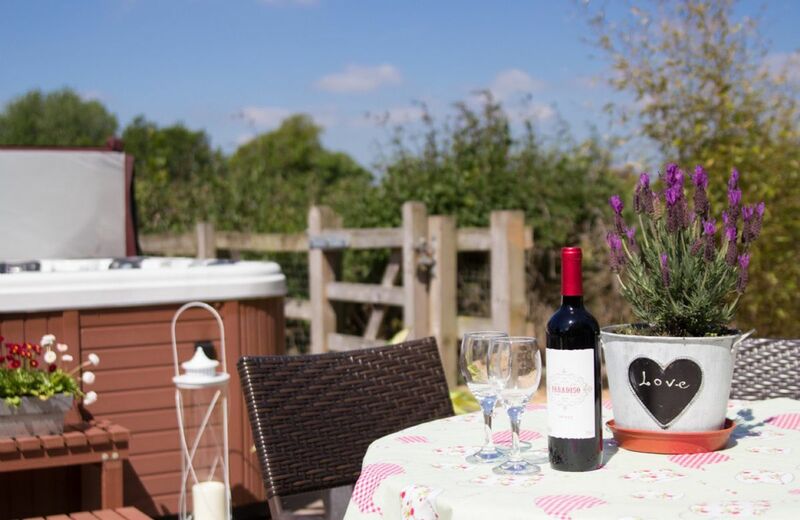 A perfect location to relax and unwind which was spot on for our needs; 4 adults, 1 three year old and a dog.If you like country cottages and gardens then this is the place for you. Child and dog friendly. The owner, who is a lovely lady could not do enough for us and nothing was to much trouble. 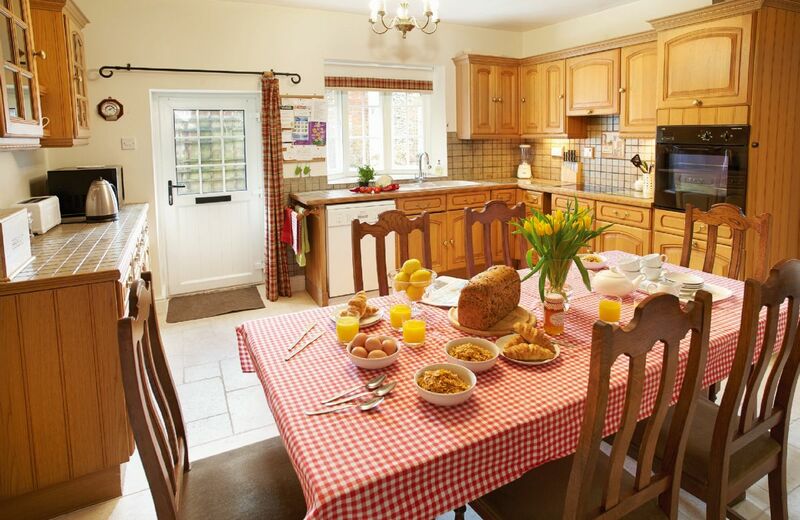 The cottage is clean with a well equipped kitchen covering all your catering requirements. Bedrooms & bathrooms were spotless. However, the pillows could have been better. Would we return..... YES most definitely. Perfect location, rural but not too far away from amenities, beautifully furnished cottage, we felt relaxed and at home the minute we arrived, even the doggies were relaxed and happy! A beautiful property in an excellent setting and location. Our party were extremely comfortable and very well rested and relaxed. Our four legged friends were made very welcome and enjoyed their stay every bit as much as we did. The owner was so kind by allowing us early entry as it was so cold and snowy. The fire was lit for us and she provided lots of extras for our two and a half year old. The cottage was warm and welcoming and well equipped. It was in a lovely quiet location and we always appreciate adequate parking as was provided there. 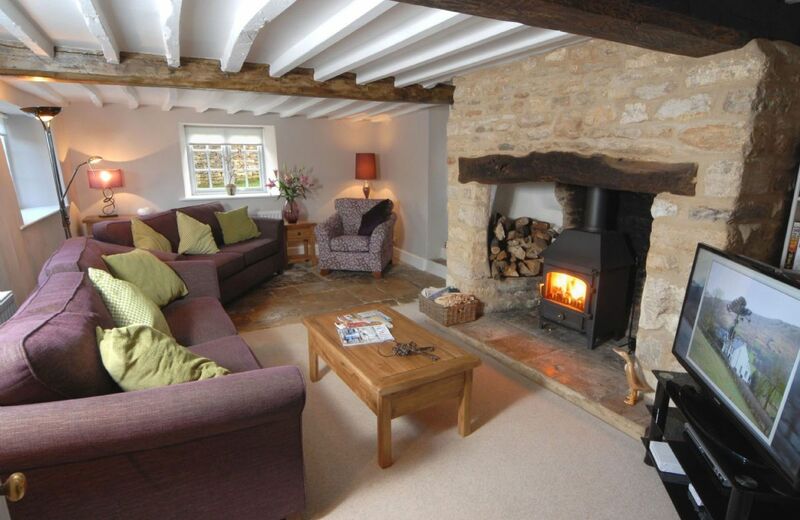 Cherry Cottage is a new property which is proving very popular and has lovely reviews. Thank you so much for leaving yours. This beautiful country cottage situated in a secluded and peaceful setting boasts stunning rural views. The village of Ripe can be reached on foot while historic Lewes and the glorious Sussex coast are both in easy driving distance. 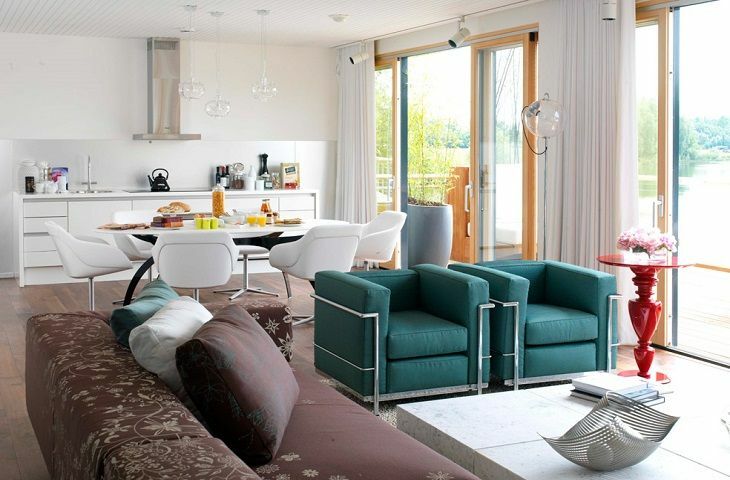 Located in the glorious Cotswold water park, Claydon Lodge is a stunning three bedroom property designed by one of our signature designers, Jade Jagger. This stunning lodge gives you a 5 star hotel experience, with the space and privacy of your own villa. 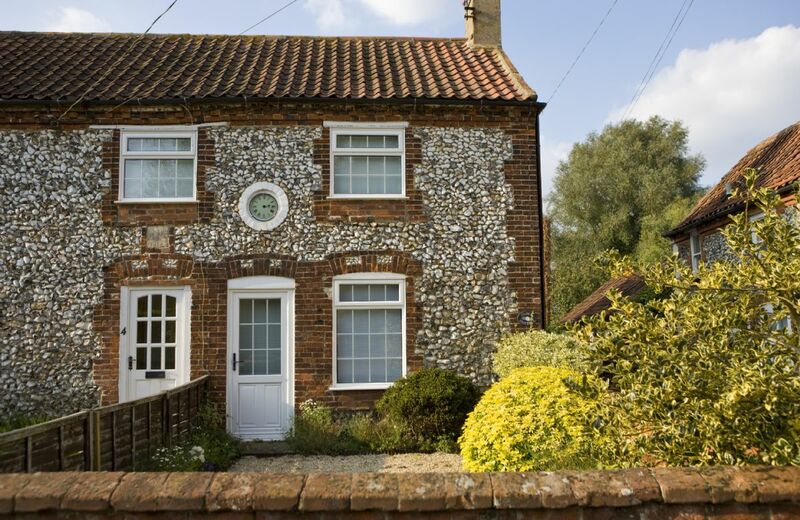 Clock Cottage is a pretty, comfortable brick and flint cottage in the charming north Norfolk village of East Rudham. The cottage was once the home of a clock maker and the clock on the outside dates back to this time. 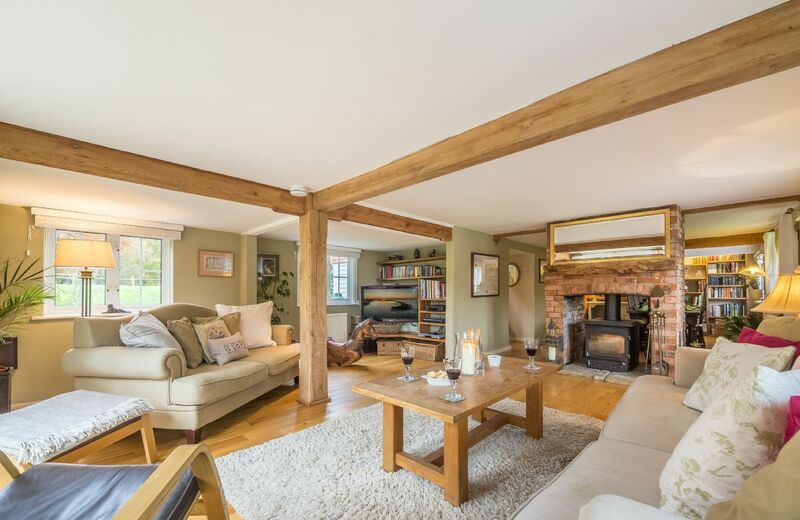 This beautifully converted detached house is situated on the edge of the pretty village of Banningham, equidistant from Norwich and the spectacular North Norfolk coast. 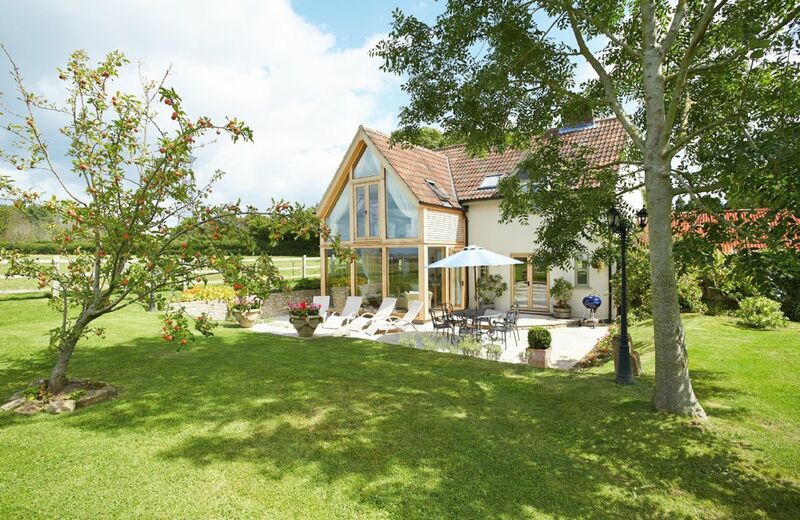 It provides peace and tranquillity within its fully enclosed walled garden. For holidays taken between 19 April 2019 And 26 April 2019 Minimum of 3 nights booking. 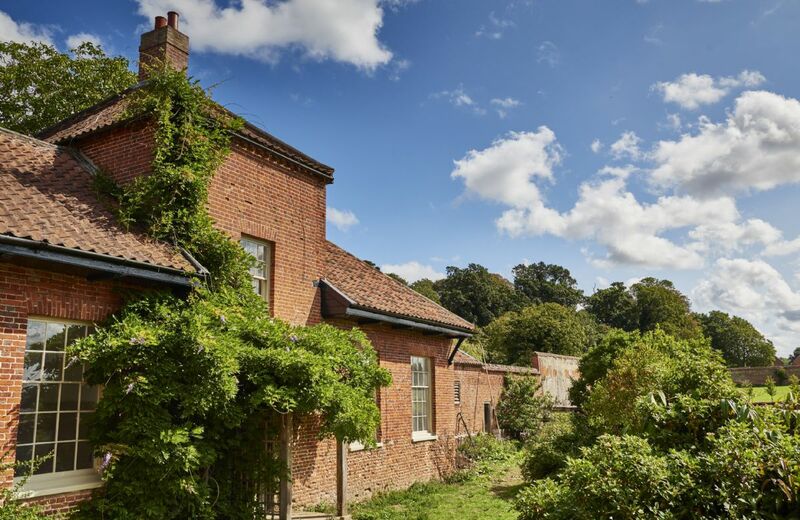 Corrie’s Cottage is in the grounds of The Old Vicarage near Little Walsingham. It has a beach themed interior and has access to a pretty enclosed Victorian walled front garden and an enclosed rear garden with outdoor dining area. corriedow provided our family of five with the most view-catching, crisply-curated rural get-a-away we could have ever dreamt up. waking up every morning to a wide-ranging view of endless, undulating green pastures dotted with sheep and enveloped in scottish mist was a rare treat. all of the kitchen and bath amenities were uber modern (the radiant heat on the kitchen floor was a family favorite). the house was always warm, and the windows are perefctly designed to let in the fresh country air while also maintaining a sense of coziness. the bed linens and towels felt brand new and luxurious. some mornings we really didn't want to get out of bed! thank you, lynne, for providing such a comfortable landing for our family; it allowed us to explore the surrounding rugged landscapes, knowing we had the comforts or corriedow waiting for us when we returned. I will write in german. Super, tolles Objekt, zwar am "Ende" der Welt, aber so schön. Ruhig und Abends dunkel. Tolle Ausstattung, vor allem die Küche, Töpfe, Pfannen, Grill und sonst alles da. Tolle Schlafzimmer und Betten. Wohnzimmer wunderschön. Netflix super für die Kinder und Papa. Internet war ok für am "Ende" der Welt. Ansonsten tolle Aussicht, gerne wieder. Also wir waren 4 Nächte da, sollte man sich auch min. gönnen. Alec made us most welcome.Would love to return, would highly recommend a stay in this amazing area. An idyllic rural setting. Lynne and Alec made us feel most welcome. We felt part of the farm. An excellent house to stay in with superb modern facilities and stunning views. Lots of places to visit within easy reach of the property. Immaculate and well equipped. Lovely decor, lovely owners. Very scenic area, a private and peaceful house with incredible views. Outstanding welcome hamper. Wouldn't hesitate in recommending. Fantastisches Haus,wunderbarer Blick, alles neu und sauber, sehr freundliche Besitzer und absolut ruhig! Was für eine schöne Kritik, vielen Dank. Ich freue mich, dass Sie mit Corriedow so zufrieden waren. The Corriedow was everything and more we could of asked for. Beautiful food hamper waiting for us on arrival . All of my family felt the same totally relaxing very comfortable place to stay - definitely visit again!! This is an excellent quality holiday cottage in a very remote and beautiful area of southern Scotland. The house is furnished & equipped to an excellent standard and the owners are extremely welcoming and helpful. Just be aware that it is quite a drive up a gravel track to get to the property. Very much worth it though for the views! Corriedow is an amazing cottage. It is done out to the highest standard and includes all the extra, luxurious finishing touches. The setting is idyllic - a cottage in the middle of nowhere surrounded by so much natural beauty. So peaceful and a complete escape from the usual business of everyday life. Plus the owners were so kind and friendly and not too far away in case you need anything. We will definitely go back. Our very special property Corriedow has the most wonderful, well deserved feedback. Thank you so much for leaving yours. We had a wonderful time at Corriedow this Christmas. The house is beautifully presented, warm, brilliantly kitted out and full of lovely touches that make it extra special. The beds are fabulous and everything you can think of has been provided. 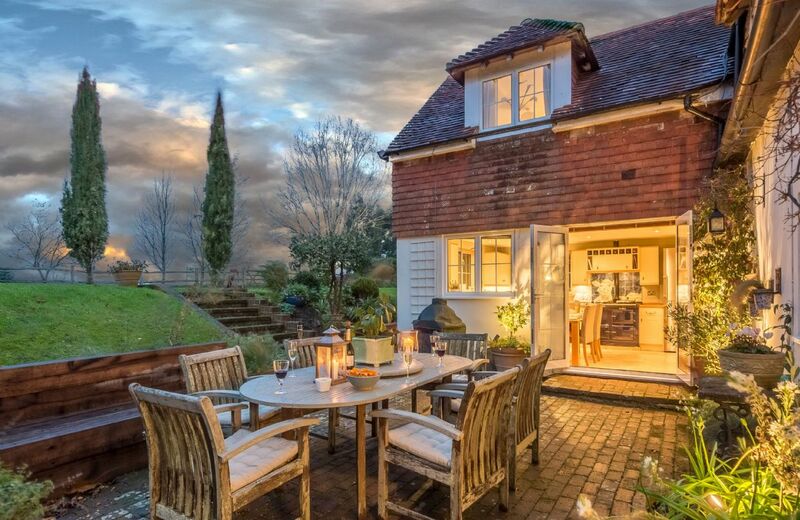 The house is set in the most stunning countryside and is owned by a wonderful family who really do know how to make you feel like special guests. The hamper Lynne provided literally made all of us smile and shriek with delight and we literally can't think of anything that would make the place feel even more special than it is. 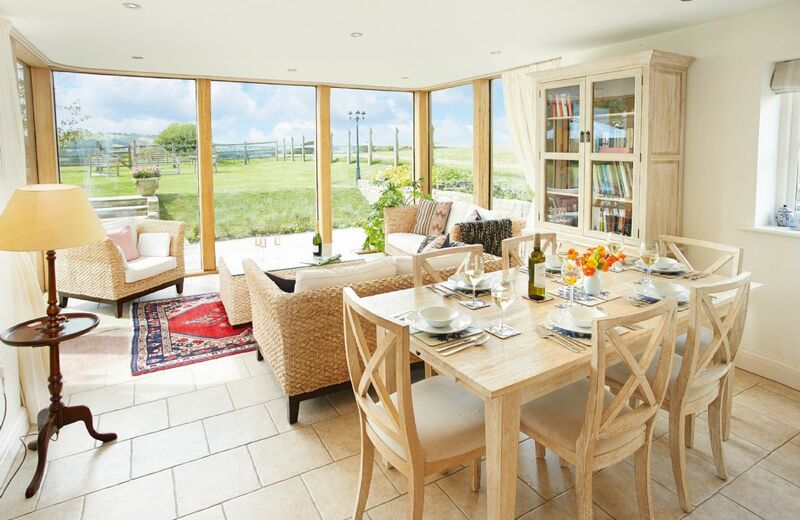 If you want luxurious surroundings, peace and quiet in gorgeous surroundings, then Corriedow is for you. I would highly recommend Corriedow. We spent New Year there and had an excellent time. The house is beautifully decorated, in great condition and well-equipped. We were provided with a lovely hamper full of lovely treats from M&S, including a bottle of whisky and white and red wine. The setting is beautiful, and the floor to ceiling window in the kitchen has a great view. The owners were also very helpful. The road up to the house was icy and they text us to warn us and gave us and our friends a lift up the hill in their 4x4 when it became clear our cars wouldn’t make it up. They also posted some items that we left at the house. Overall we had a great stay and I wouldn’t hesitate to recommend it. What a hidden gem in the Scottish countryside. We couldn't have asked for more. The cottage was absolutely stunning and matched the breathtaking scenery. The cottage has been decorated to such a high specification and was has been so well looked after, it was as if we were the first people to have ever stayed there. It has everything you could possibly need and more when it comes to facilities and services. It's close enough to nearby villages that you have small food stores etc if you need them but far away enough to think that you are in the middle of nowhere. No light pollution , no noise pollution just peaceful and relaxing. Lynne, the owner, could not have made us more welcome. Such a lovely lady! She was on hand for any questions, recommendations for eating out etc. I would definitely recommend to any one who is heading into Scotland. Superb location - really rural for us! Excellent facilities, beautiful rooms and bathrooms. A great place to unwind, and superb owners who even helped take delivery of our internet shop (Tesco deliver) as we were running late. Rural yet connected (wifi a dream). No signal with O2 or Vodafone, but a reasonable EE signal if you still want to be connected. We're so glad you enjoyed Corriedow, we love it there too. Last time we visited there was heavy frost on the ground, adding to the dramatic views. A superb location and lovely owners. From the owner ~ Signal can on occasions be poor but if visitors have smart phones and have downloaded all updates, they should connect to the WIFI cover which automatically kicks in when you step foot into the cottage. Fantastic rural location a complete escape from it all setting. Extremely well equipped cottage with amazing 360 degree uninterrupted views not another property in sight. 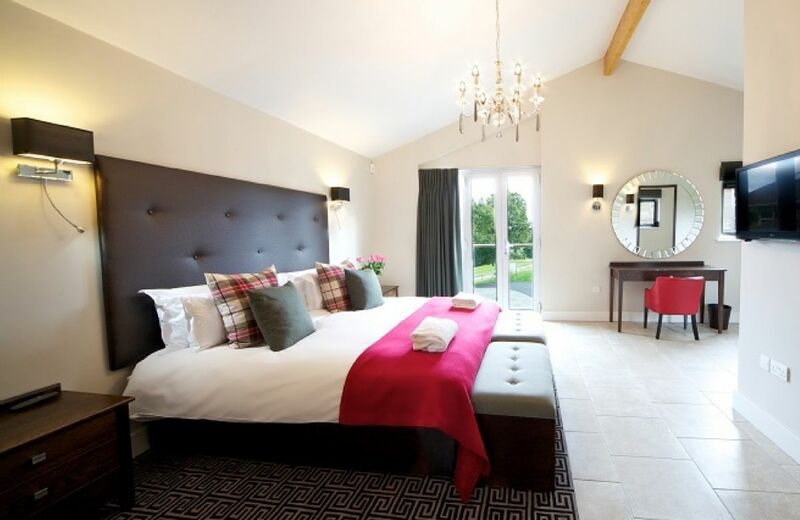 Beds very comfortable and superb welcome hamper more than anyone could ask for and not to mention the white company toiletries it really was a luxury cottage. Very friendly and helpful owners. The property is wonderfully situated with amazing views and has everything needed for a very comfortable stay. Cottage's interior very well designed, comfortable and high spec. Excellent selection in the "Welcome Basket" on arrival. Would definitely recommend staying at Corriedow. What wonderful feedback for Corriedow - thank you so much. Corriedow was above and beyond our usual expectation. Beautiful setting and excellent décor, fabulous hamper, wifi and Netflix, and in a great region to walk and explore. Most importantly were the owners who were incredibly helpful and welcoming without being intrusive in any way. 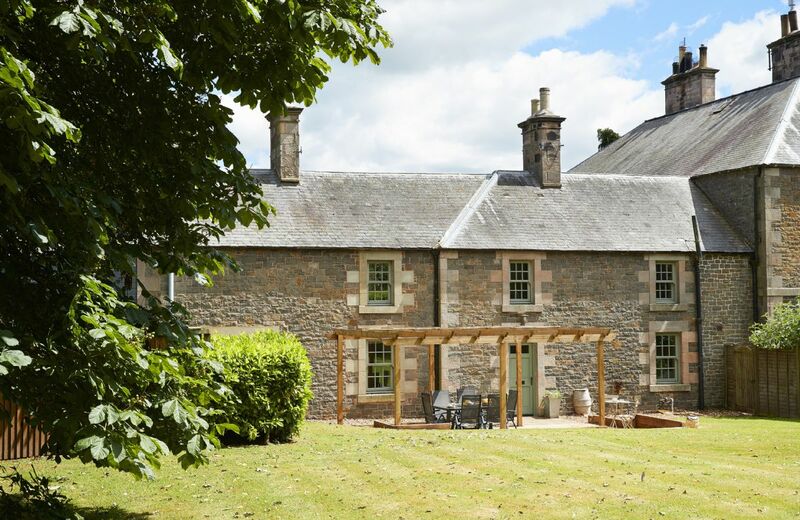 Set in the sweeping hills of Dumfries and Galloway is Corriedow, a former shepherd’s cottage which has recently been converted into a contemporary yet cosy holiday home. 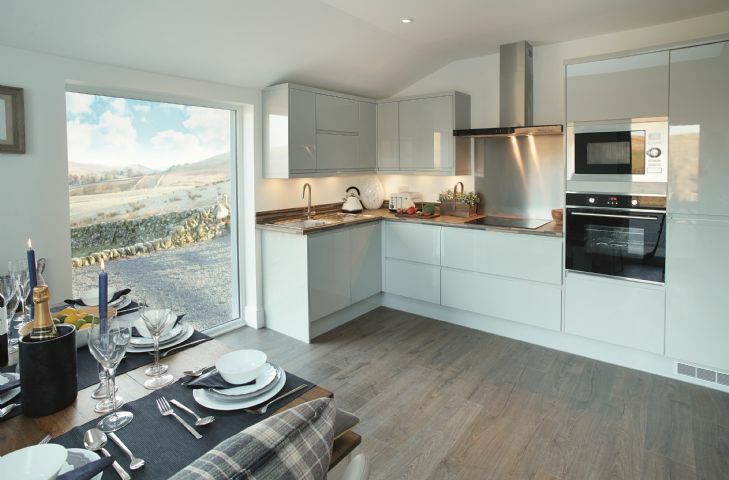 With 360° views of beautiful Scottish glens, this rural spot is the perfect place to spend time with family and friends. Courtyard House is a restored wing of a large Victorian farmhouse. Tastefully renovated to a high standard while maintaining many of the original features. Set in a beautiful rural location just south east of Kelso. 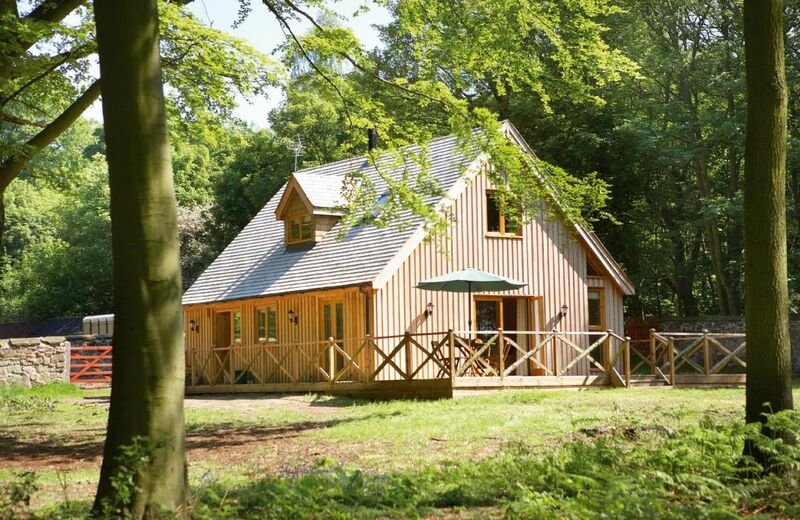 Crispin Cox comprises two of ten country lodges located in the peaceful surroundings of Constable Country in Suffolk, in an Area of Outstanding Natural Beauty. Guests can enjoy complimentary use of excellent poolside and gym facilities, as well as discounted rates for spa days and golf on two onsite championship courses. Fantastic location and very welcoming. A beautiful well equipped cottage in lovely grounds. Lovely stay in a great cottage. Couldn't fault it! We had an amazing stay everything was perfect, the cottage was clean and well kept. We had planned to explore the local area but as the cottage was so great we decided to just stay in all weekend and relax. We loved the alpaca's they were a great surprise. Nice cottage in quiet location, very well fitted out and nicely furnished. No complaints at all. Comfortable clean cottage. Warm welcome from the owner. Bottle of bubbly left as a gift for us as we were celebrating our wedding anniversary which was a lovely touch. Lovely cottage. Beautifully decorated and well-equipped. Very helpful and pleasant owners. Peaceful location. Thoroughly enjoyed our stay. Thank you for your lovely review. We are delighted that you had a great holiday at Curlew Cottage. First class cottage first class service from owners! Beautiful cottage and location, everything has been thought of. The welcome hamper is one of the best we have had. We will definatly be visiting again. Throughly enjoyed our stay. Curlew cottage was a wonderful holiday cottage with the added benefit of a hot tub. The house was very comfortable and the owners were most welcoming. 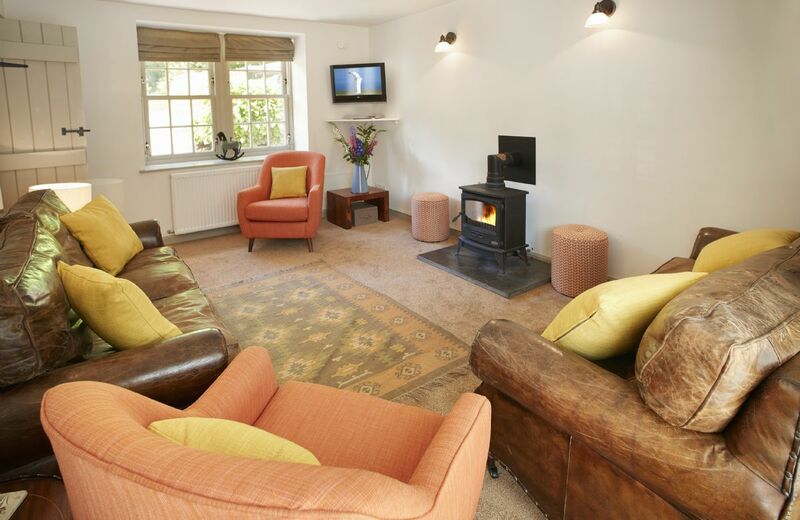 There are so few such lovely properties to rent in that part of Cheshire and we were not disapointed by Curlew Cottage. We would very much like to return. Amazing - beautiful place & they have thought of everything to make the stay brilliant. Really nice touches throughout the cottage from the robes to the fresh bread etc. A lovely cottage with everything you could wish for. The owners were very helpful. The only thing that stopped me giving excellent was the presence of builders vans in the parking area as the owners, who lived next door, were still having their extension constructed. 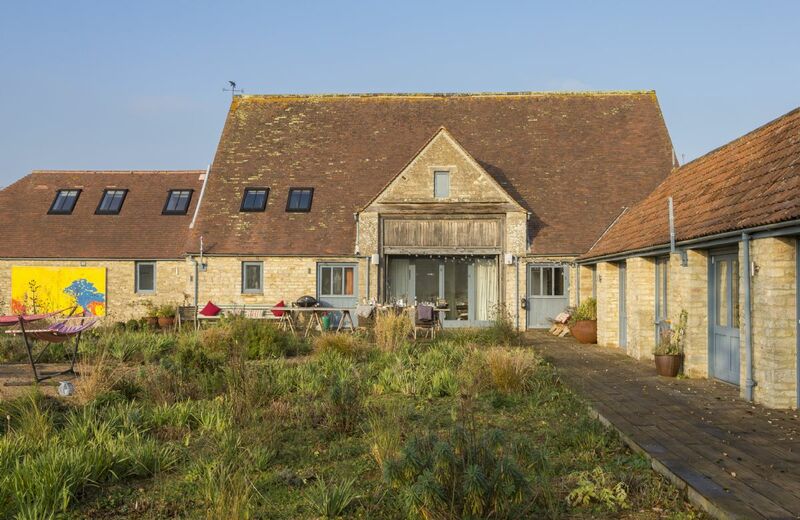 We had booked a rural cottage in a countryside location and expected peace and quiet, however upon arrival at the property the owners informed us that there was ongoing renovation work being carried out to their home (i.e. a large extension being built on the side of their house) and their builders would be arriving at 7:30am in the morning for every morning during our stay. This was completely unacceptable and we had not been informed beforehand at any time by Rural Retreats or the property owners that building work was being undertaken at the holiday rental. As my husband is a plumbing and heating engineer he spends pretty much all of his working week on a building site and does not want to holiday on one. On the one day that we did decide to stay at the property all day to relax it was virtually impossible, furthermore the building noise kept waking our 16-month old baby who was trying to have his daytime sleep, in the end we ended up going out just to get away from the constant noise from the machines, drilling etc. Furthermore on our final morning a large skip wagon arrived at 7am to drop off a new skip and collect the old one, this was followed by the builders throwing bricks into the skip (which was located outside the kitchen window of the holiday cottage) creating a constant banging noise. At any one time there was several vans belonging to builders/ carpenters/ the window glazing company etc. parked at the property therefore our vehicle was continually blocked in and we would have to keep asking them to move every time we wanted to either go out or return to the property. This holiday was meant to be peaceful and relaxing in an idyllic country setting, unfortunately this was not the case on this occasion. The owners of the property are very nice and the cottage itself is also very nice, beautifully decorated and in a great location. However our holiday was ruined completely by the builders being on site every day we were there apart from the day we arrived which was a Sunday (I assume they don't work Sundays!). To put it simply I do not think that Rural Retreats/ the property owners should be taking bookings for this holiday cottage without advising customers beforehand of the building work going on, or they should at least offer the property at a reduced rate should their customers still wish to stay there. Thank you for giving us your feedback following your recent stay and please accept our apologies for the disruption the building work caused. The owners explained that due to the poor weather at the beginning of the year, the work overran. They explained this to you and understood that this was not a problem for you as they heard nothing further. Had you made them aware, they would have either made sure that noise was minimised or work stopped. However, we appreciate that the situation was not ideal and have written to you under separate cover. Simply perfect in every respect. Every comfort has been thought of and provided. FRIENDLY OWNERS WHO WERE HELPFUL AND THE ACCOMODATION WAS SUPERB. Situated near open fields, in Lower Peover, 4 miles from Knutsford, this is a small house with a big welcome, ideal for a weekend away or a week’s holiday getting away from it all. This refurbished 3 bedroom cottage (one en-suite) has a country style decor, yet all of the modern day conveniences you would expect for today’s living. We loved Deerpark Lodge. The setting is unique and delightfully private. Walks around the grounds felt like a real privilege, although it is accepted that we were honoured with exceptionally good weather (in February! ); we were delighted by a rainbow reflected over the water and framing the main house beautifully. We fished in the lake - caught nothing but it did not matter. The cottage was comfortable, cosy and well-equipped. It felt wonderfully "off grid" with the wood fired stove providing more than enough heating and hot water. 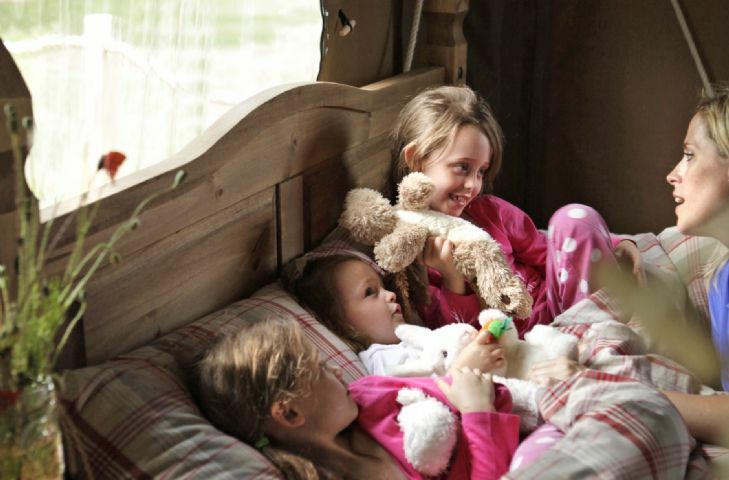 Our one tiny gripe is the double beds - we are a family of tall people and we love big beds - maybe that's just us!? There is ample room for king size or even super king. The beds did not detract from a great stay, in a cottage that had a great sense of well-being and wholesomeness. Thank you for your lovely comprehensive review for Deerpark Lodge. I am delighted that you had such a good stay and felt so pleased with the Lodge. We will certainly pass on your comments about the beds to the owners and suggest that when they change them they consider king size mattresses. Lovely and relaxing lodge in the woods. Amazingly beautiful surroundings. Great for all 3 generations and dogs! First impressions the lodge looked a little tired. Outside needed a coat of varnish. Inside was very nice light and airy. Good accommodation and well equipped. Plenty of space outside our dog loved it. Plenty of walks some a little challenging for the older client. Enjoyed the break especially Ferrer’s tea room and Arts and Crafts Centre. Pleased the local pub was dog friendly. Thanks for having us. What a beautiful setting and a lovely little cabin to stay in. We hope to come back again. Beautiful lodge in an outstanding location. We had a lovely stay at Deerpark Lodge. There is everything you could possibly need in the lodge and the welcome hamper was great! It's a lovely peaceful setting and our dog loved the walks around Staunton Harold Estate. All in all it was a great weekend - we even got very lucky with a hot Bank Holiday weekend! We'll definitely return at some point in the future. 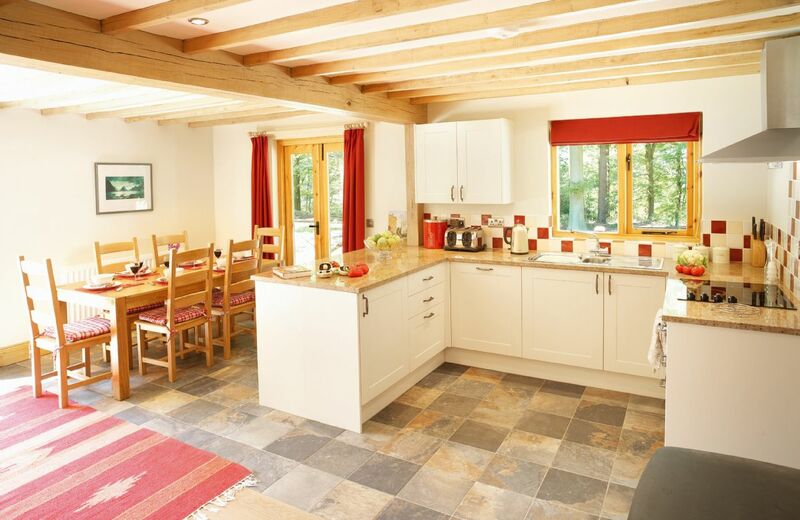 Cosy , comfortable lodge in a beautiful and peaceful setting. Caroline and Andrew were friendly, helpful and efficient. Thanks for a lovely stay! We all had an absolutely amazing time staying at the lodge. The setting was gorgeous. On our arrival we were greeted with a basket of goodies. All the rooms were spacious, lovely comfortable beds, all the towels and linen were new. kitchen had everything you good want, and there was plenty of wood for the wood burner. If we had the opportunity we would jump at the chance of staying at the lodge. What wonderful feedback for Deerpark Lodge. I am delighted that you had such a lovely stay and thank you for leaving your thoughts. Overall a good experience, loved the log cabin, however it would have been nice to have been pre warned that the log burner was the only source of heating, so if you go like we did in the cold weather, you need to be aware that the log cabin will be cold on arrival and when you get up in the morning until you have lit the log burner. The showers had very poor water flow, towels were very small and thin and the internet was not available. Loved the hamper and the location was great. Overall it was very good and appropriate for our family gathering. However one or two issues - the bedding could have been better, duvet only just fitted on the bed and the pillows were very thin! Also the towels were rather thin and bigger sizes would have been good ! The kitchen was well equipped and plenty of wood for the fire. Perhaps a backup heating would have been good as the fire had to be made every morning and the lodge was very cold when we arrived! The sofas rather low and the television strangely positioned high on the wall! The welcome hamper was excellent ! We enjoyed walking in the grounds very much and enjoyed visiting the Ferrers Centre a couple of times . The main reason for choosing the lodge was the nearness to Loughborough where our granddaughter is at Uni. We never saw the owners/ housekeepers! Should we have done? As advertised, and very helpful staff. Second time of staying at this location. Very clean, great location, wonderful welcome hamper and very well equipped kitchen. Great walks from the door . They have thought of everything to make your stay just perfect. Enjoyed it so much we have booked again for next year. The house was clean and welcoming, and its location was perfect--in beautiful parkland within the Staunton Harold estate. Walking from the front door was first rate and the location was superb. In general the retreat was lovely, but it is very close to East Mids airport & the planes were an issue. There were things lacking in the property such as a dongle for internet connection, kindling for the fire, a leaky saucepan, wet cushions on the outside furniture (requires some storage to put them in), sharp knives especially bread knives, but it didn't spoil our time there. Thank you for your review. We're sorry about the lack of dongle, the owner didn't realise that another guest had taken it with them by accident (now returned). Kindling is not required for the fire. The owner thanks you for reporting the knives, saucepan and cushions. They will remedy all of these for future guests. We're glad that overall you enjoyed your holiday. loved the peace and quiet in the woods, the tranquillity of the lodge, its fittings the log burner and the light. Absolutely loved the lodge. The set-up was perfect and it was very clean and cozy. The kitchen was amazingly well-equipped, better than any holiday cottage we have ever rented. Had everything we could possibly have needed. The grounds were brilliant, loved walking the dog and exploring the lake and the Harold Staunton estate. Only niggle was the many flights we could hear taking off and landing at East Midlands airport at all hours of the day and night (only stopped between 3 and 6 am), the first few nights we had difficulty sleeping because of the noise but we did get used to it eventually and we found ear plugs in the cupboard which helped too. It's just the location and nothing can be done about it. We were surprised how loud it actually was, but saying that, we loved Deerpark Lodge so much we would stay again. It was so perfect in every other way, and the woodsy detail was lovely and bets of all, we saw a fox every night right outside! and rabbits quite a bit too :) We loved and appreciated being able to bring our dog so much too. Enjoyed our stay,great location and fab for our four legged friend. Only issue we had were the planes during the day and late at night, but we were told that its not the norm and we were out alot of the time. This fine lodge is in a woodland clearing in the grounds of Staunton Harold Hall, part of a traditional country estate in Leicestershire. 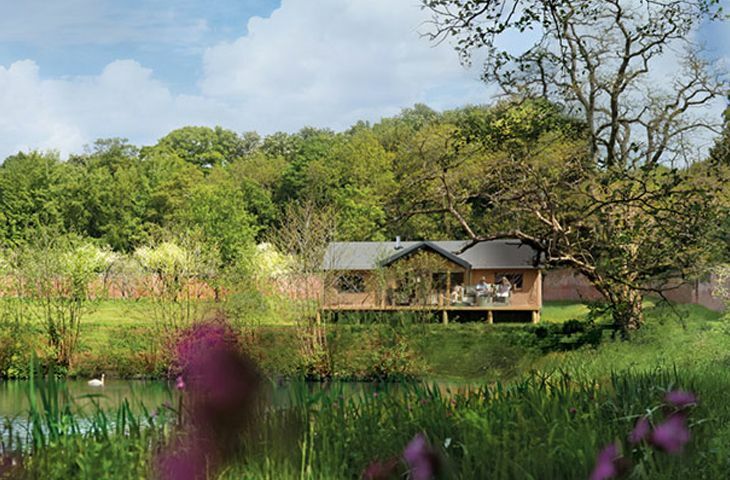 The lodge, built using estate timber, provides a contemporary retreat overlooking the parkland. 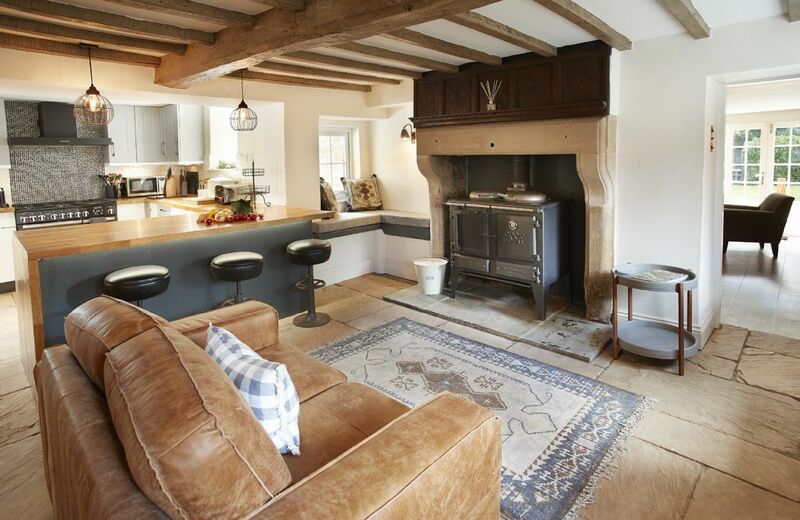 Diplock Cottage is a charming, Grade II listed cottage in the heart of the picturesque Cotswold village of Chadlington. 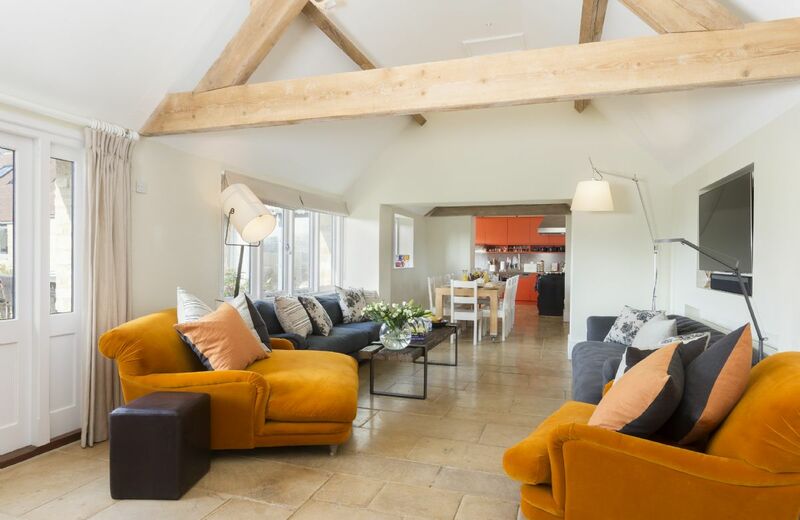 Built of Cotswold stone and with a slate roof, the house retains many period features and beams, yet has plenty of modern amenities and furnishings to create a cosy and welcoming feel. I loved every minute of our holiday at Draenllwwynellen. The house is superb. When we arrived it was like walking into an oasis of calm. Every room was clean and beautifully furnished. We had been left a welcome selection of goodies including the basics but also lovely cake, biscuits, bread, jam and more. Many thanks to Debbie Davies for her kindness and readiness to help with any questions. We spent our evenings enjoying cooking and eating in the well equipped kitchen. The bedrooms are very comfortable and the bathroom with it’s beautiful bath was very inviting! We loved watching the cows in the field next to the house and looking across the valleys towards the Shropshire hills. At night we would watch the stars in the most beautiful clear sky. I also saw the most beautiful dawn of my life the first morning we were there. We went on several walks and visits during our stay... Offa’s dike at Knighton, the Devil’s chair at Stiperstones, Montgomery castle, Clun castle and Stokesay castle were among our highlights. I can’t really say anything other than great things about this house and the surrounding area. I hope to visit again in the future. Many thanks! The information in the brochure did not apply when we got there. The Log fire was unusable with a big red Danger label on it. The walks we were looking forward to could not start from the farm and the feeding station just under the lovely terrace made sitting on the terrace impossible which was a great shame as the weather was lovely. Accommodation downstairs was fine but upstairs it was all a bit shabby chic. More info on the cooker would have been helpful too. winter there was a problem with the liner. is part of the neighbouring beef and sheep farm. Wonderful house with beautiful views. Well equipped for a restful break. Lots to see and do in the area. We thoroughly enjoyed our stay. This was the best property we have stayed in so far. Fantastic views and location. Our children loved all the wildlife who came to visit the garden. The house, views and location were amazing. The beds and sofas were very comfortable. Lots of places to explore, we definitely want to return. Draenllwynellen is a well-equipped, well-maintained and cosy rural retreat in an idyllic location within close proximity to the charming town of Montgomery with its shops and tearooms. We had a fantastic week in this absolutely beautiful, clean and well equipped old farmhouse. The underfloor heating was very welcome in the mornings; especially with snow outside. The location was great - we walked into Montgomery (about 2 miles each way) and had two fantastic meals at The Dragon. We were also able to explore both mid-Wales and Shropshire. Brilliant Cottage, extremely cosy. Could not have asked for a better place to unwind. It snowed whilst we were there so unfortunately unable to explore the beautiful surroundings. Would definitely agree. Service was amazing!! beautiful! well equipped cottage 2 miles walk from town. lovely stay catching up with old friends, excellent food, fresh air & walks. Beautifully renovated cottage, stylish and very well equipped. I would have like to take the view home with me if this had been possible. We agree! Draenllwynellen is a lovely property and that view is very special. Beste huis dat we hebben gehad van Rural Retreats ,fantastisch verzorgd, zeer schoon, echt een home from home! Thank you for your review - I am delighted that you thought the property was nice. The gardens are stunning and, of course, take a lot of maintenance. I am so sorry that you weren't informed in advance of the gardener's arrival. Tranquil, well appointed and very comfortable. Thank you for your lovely feedback for Draenllwynellen. Absolutely perfect holiday house. The house has been renovated to a very high standard. We've stayed here twice and it has been exceptionally clean both times. You cannot beat the location if you like peace and quiet and amazing views. Of all the many self-catering houses we've been to with our family, this one is (by far) our favourite! What a wonderful review for Draenllwynellen - thank you so much. Perfect location, so peaceful with beautiful views. We would love to return to such a special holiday letting. The children had a whale of a time and the farm house was kept to such a high spec and very luxurious! Its a real hidden gem, stunning gardens and loves for a family to enjoy! What a wonderful review - thank you so much. Wonderful country cottage to get away from it all. 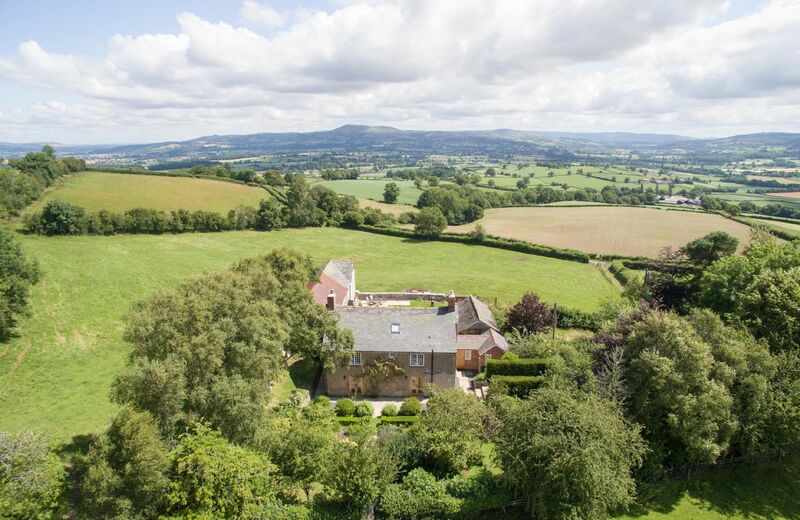 Simply stunning - a beautifully refurbished detached farmhouse in an elevated position enjoying breath-taking unspoilt views across the valley towards the Kerry Ridgeway and Shropshire Hills but within 2 miles of the ancient Welsh border town of Montgomery. Enjoy complete privacy as the property is set within its own acre of land along with just a few rustic outbuildings. 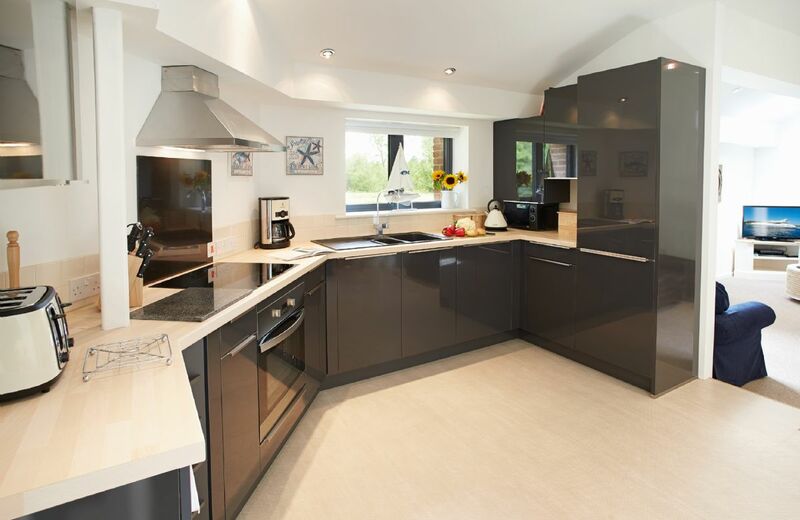 This superb property benefits from three bedrooms, one bathroom and a shower room. For holidays taken between 12 April 2019 And 31 May 2019 Minimum of 3 nights booking. A home from home canvas-wrapped three bedroom colonial style tent. Exton Estate is located within 500 hectares of beautiful parkland in the centre of the county of Rutland. 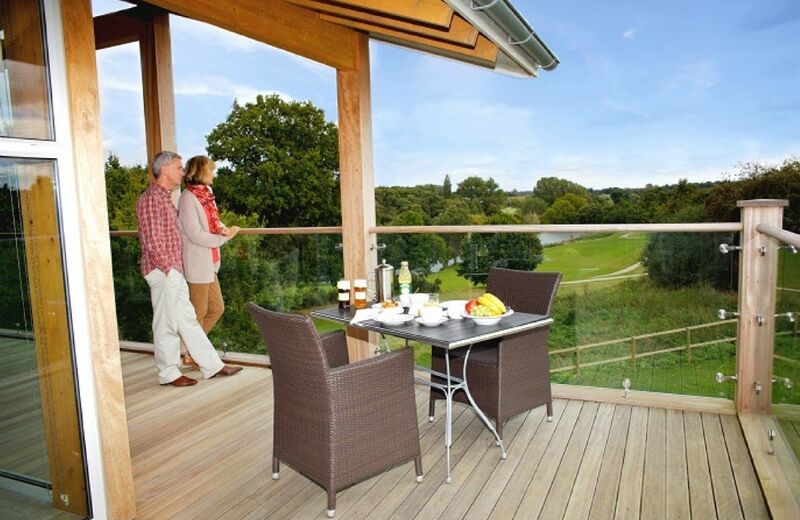 Surrounded by stunning views and at just a short distance from the internationally famous Rutland Water Nature Reserve. Just a beautiful classic Yorkshire cottage, with tasteful luxury, nestling next to the brook in the extremely quiet and peaceful Cotterdale. This was the perfect place for our family holiday. So comfortable and well appointed. Lots to do within a short distance. Very thoughtful touches. Fabulous decor; beautifully clean; loved the welcome basket, extras and accessories to help our self-catering holiday more pleasant; wonderful location; great layout; nice views. Loved the things left in the house (such as books, games, maps) as they made us feel at home and added to our stay, great thoughtfulness and lovely touches. 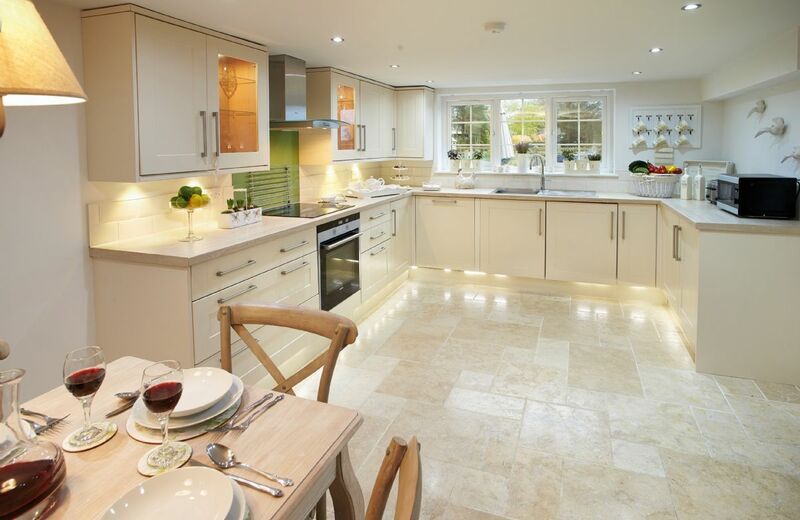 Everything you need in the kitchen, utility and bathroom to self-cater with ease. Torn between staying in and enjoying the comfort of the house- and exploring the beautiful countryside. Thank you for your lovely feedback for Fell View. I am delighted that you enjoyed your stay there so much that you are returning. The cottage was perfect - peaceful location and very well equipped. 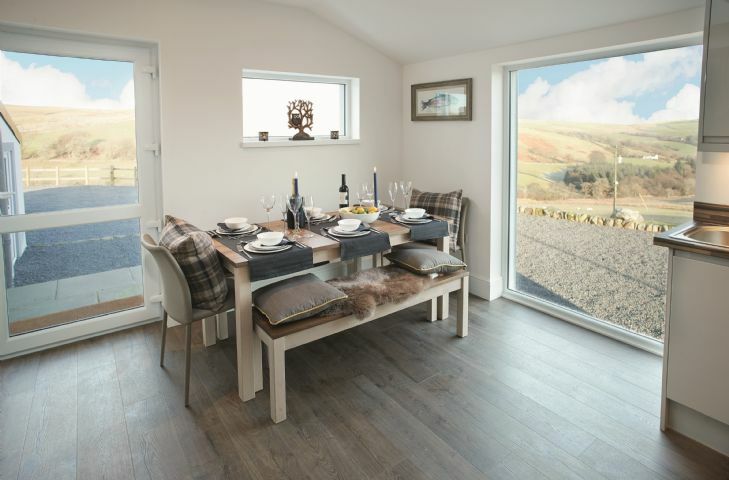 Fell View enjoys a beautiful location in the quiet hamlet of Cotterdale, 10 minutes from the market town of Hawes. 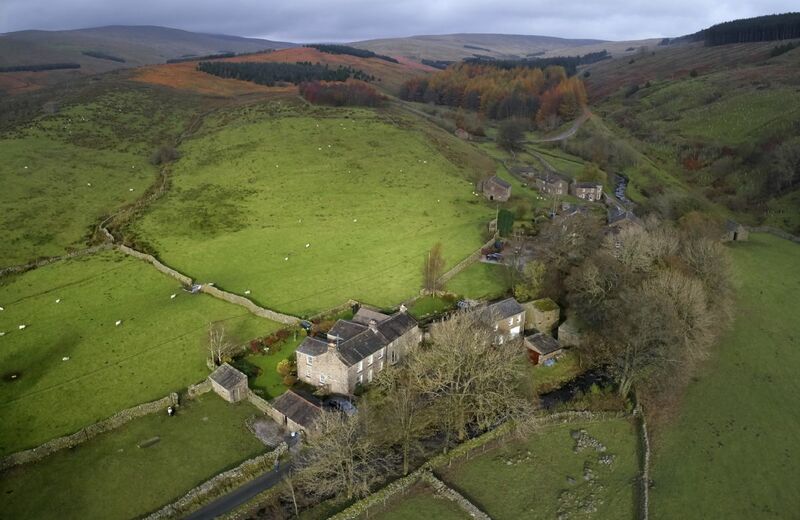 Set in the rolling Yorkshire Dales, this peaceful cottage is a haven for walkers, cyclists and nature lovers. 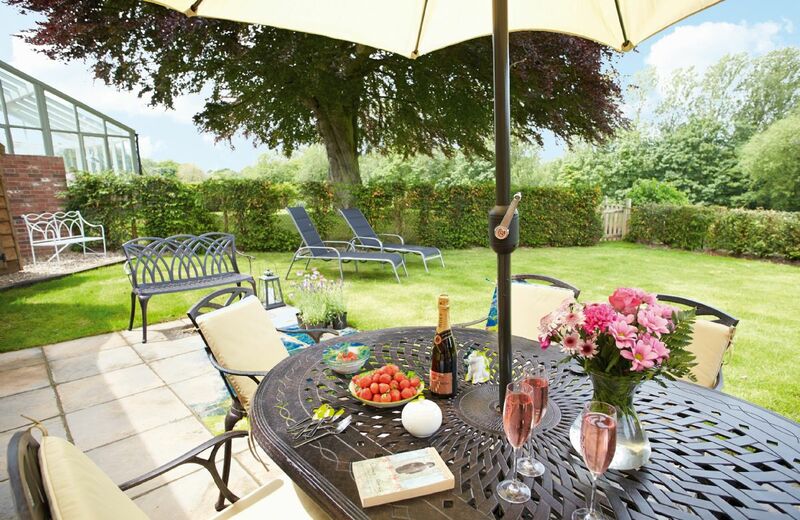 Garden House is a charming three bedroom cottage with its own private walled garden and wonderful views. Beautifully restored throughout, this cottage provides a luxury holiday retreat on a peaceful private estate with stunning parkland and a picturesque lake. 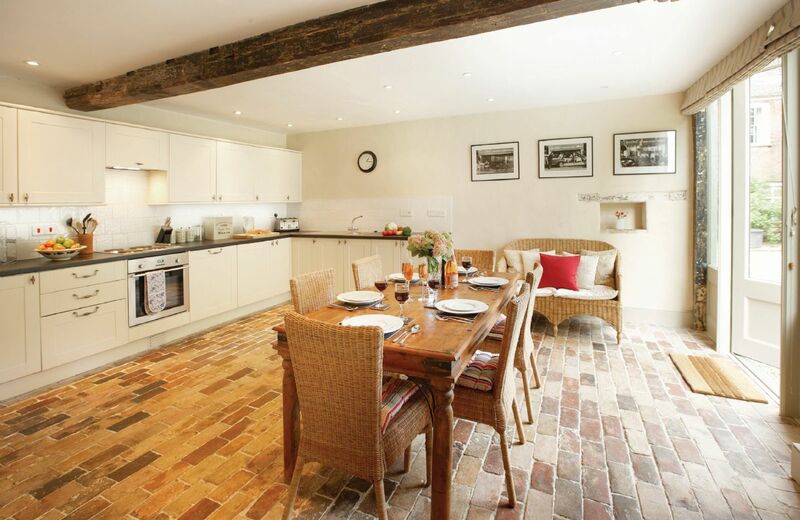 Gardeners Cottage is a wonderfully presented period home located in a central position for touring the Cotswolds. Exposed beams and traditional stonework still evident throughout create the background for this welcoming home. Beautifully fitted out and equipped, excellent location and welcome pack. Clean. A laundry airer would be handy and 'green'. There is a lovely warm airing cupboard in the property too where it could be placed. We didn't want to tumble everything in the dryer [very ungreen!]. Also there was no information about recycling. Neither of these impact the 5 star rating above but both could be improved. Lovely accommodation, great hamper and nice to get a phone call from the house keeper to check we arrived, brilliant accommodation great location. Altogether delightful especially in a force 9 gale! We would recommend it to all sea watchers. The fitting of carpet to the hall stairs and bedrooms is a great improvement. The provision of a private no entry sign was also appreciated. 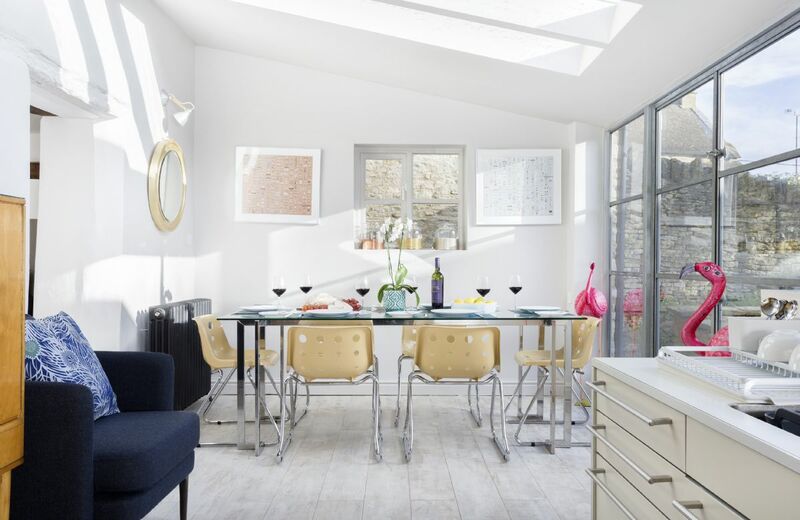 The new table in the kitchen is a vast improvement as its shape and versatility means best use can be made of the limited space available. The decor generally is looking tired especially in the bathrooms and ground floor bedroom. The windows in the ground floor bedroom would benefit greatly from having curtains fitted as the current blinds allow far too much light to enter - not good at 4.30 a.m. on a summers morning. Lastly the picnic bench in the yard is long overdue for replacement and the private no entry sign needs replacing with something more robust as it is already broken and needed propping up against the wall ! Having said all the above it is still a place we love to visit and we have already booked for next year. regular visitor, cottage clean and comfortable as usual. The carpeting on stairs and bedrooms was most welcome and made climbing the stairs a lot more safe. The outside area though is not good, we had to clean the courtyard our-selves as it was very dirty, and needed a good sweep.it was full of dead weeds and blown in rubbish. The bench in the courtyard was also very dirty and I would not have eaten outside on it, which is a shame as that's what its there for, this needs to be addressed . Whilst Godrevy is somewhere we will probably always want to return to and it is in an amazing location, one has to bear in mind that it is located near to a very busy visitor centre and little effort is made to prevent visitors and the general public from wandering around the outside of the cottages especially during the evenings and on Fridays and Saturdays when the visitor centre is closed. Also and perhaps more importantly, first time visitors should be aware that the fog horn which is very loud and sends out a 3 second signal which is repeated aprox. every 30 seconds can and often does sound for long periods. Sometimes this can be for several days and nights continuously - even in the middle of summer ! During such periods when visibility may be reduced to just tens of yards, it can be quite difficult to appreciate the outstanding natural beauty of the area. Thank you for your feedback for Godrevy. 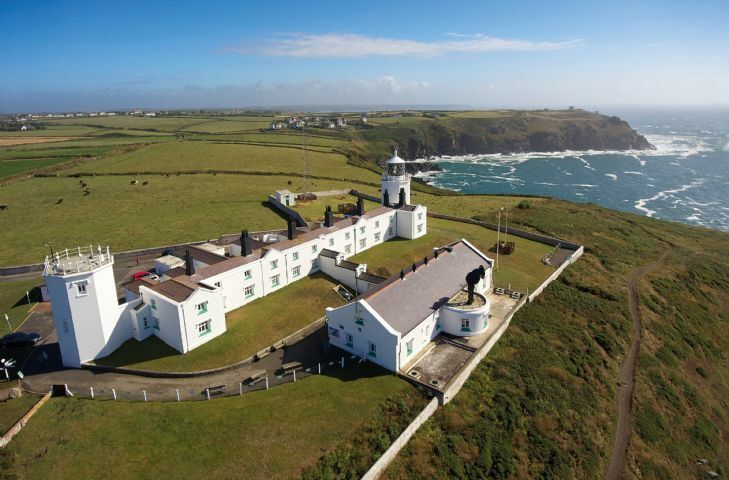 We agree that it is in an amazing position and as we say on the website - Lizard Lighthouse is a fully working lighthouse.................. It has a 26 mile light range and an automatic 3 mile fog signal if conditions are misty. Clean, tidy and very welcoming. Great hamper which was very helpful. One thing which would make it even better is some form of comfy seating in the outside space, there is a picnic bench but was dirty and not very comfortable. Thank you for your feedback for Godrevy. We are pleased that you were happy with the property and we have passed on your comments about the outside seating. Wonderful sea views, marvellous location, great walks, clean and well-appointed cottage, efficient and meticulous keyholder/caretaker, welcome hamper contained even more than we expected. Worth coming back to, year after year. Thank you for your great review. We are delighted that you had a lovely holiday and we looking forward to booking Godrevy again for you. Fantastic location. Well appointed. Very clean and helpful house keeper. Housekeeping very good. Yard rather untidy with leaves etc. blown in. inadequate. All blinds did not work properly. Foghorn sounded all week - even when sunny. Couldn't understand why Godrevy more expensive than Sevenstones as facilities and accommodation seem to be the same. Our booking for a week's duration was cut short by the owner of the cottage at very short notice. We had very little alternative but to continue with our booking which was for a period less than we had originally booked. The property was not as clean as I would have expected - dirty cooker and cobwebs all around the glass panelled sitting room. Ensuite shower not as clean or modern as I would have expected. Generally the property was 'nice' but not to the quality I would ahve expected. I am so sorry that due to extremely sad circumstances the cottage was not available for the first night of your stay. I am pleased you thought the property was nice and I will pass on your comments to the housekeeping team. 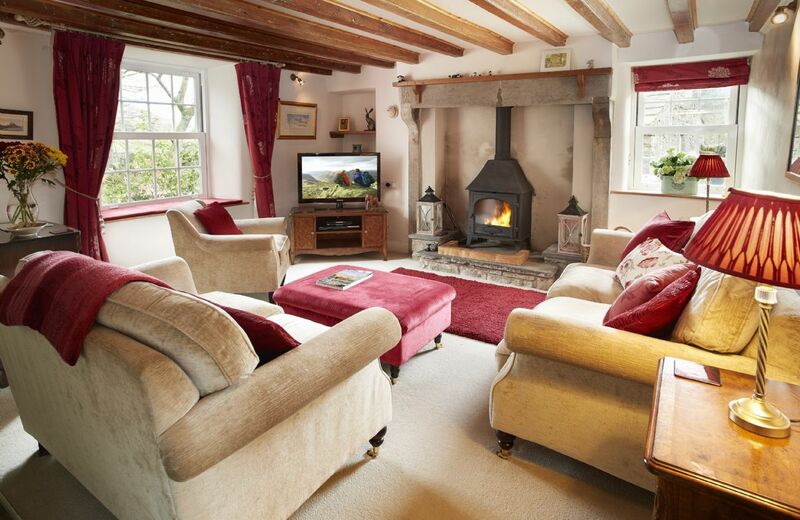 Grooms cottage is a beautiful, well-appointed cottage in an excellent location. We loved watching the sheep and cows, and we found Don very helpful. Very well appointed, spacious & suitably decorated. Set in beautiful countryside. Lovely cottage with good views and location. Particularly enjoyed the garden. Farm manager very helpful. Hamper was not as described although enjoyed the local sausages. Another great review. Thank you so much. Beautiful cottage. Very clean. Idyllic location. This is my 3rd visit to this cottage and for very good reasons... the cottage itself is gorgeous especially the glass / conservatory seating area. Its in a super location and cottage owners very friendly & helpful. Loved being nect to sheep and cows, truly an idyllic setting. What a wonderful review of our lovely property Grooms Cottage , thank you so much. Great cottage which was well equipped. The staff (Don) could not have been more helpful. Very hot week so the only thing we could have wished for would be blinds in the bedroom and lounge and a fan. Thank you for your lovely review of Groom's Cottage. We are delighted that you enjoyed your stay there. Excellent property in great location. Our second visit to Grooms Cottage and it is one of the very best you have, excellent welcome from the owners and superbly equipped, warm and comfortable, all in a wonderful position. The cottage was really excellent - thoughtfully prepared by the owners. Would definitely recommend to others. Thank you for a first class service. Lovely cottage. We really enjoyed our stay. Cooker was a little unpredictable to use. The cottage is in a perfect location in lovely surroundings with stunning views all around. We thoroughly enjoyed our stay, the owners and their staff were wonderfully helpful, we couldn't have asked for more. PS, please pass this on to the owners, we forgot to complete the Visitor's Book and I did promise! Grooms cottage was everything you need for a relaxing peaceful holiday. The accomdation was modern and clean. We where made to feel very welcome by owner and the housekeeper. Would definitely return. House beautifully furnished and very clean. House situated in wonderful location with great far reaching views of the countryside. Had a wonderful stay at Grooms cottage, House was immaculate, comfortable and beautifull decorated. The views were stunning too. The owner was very friendly and helpful and we would definitley like to stay again. 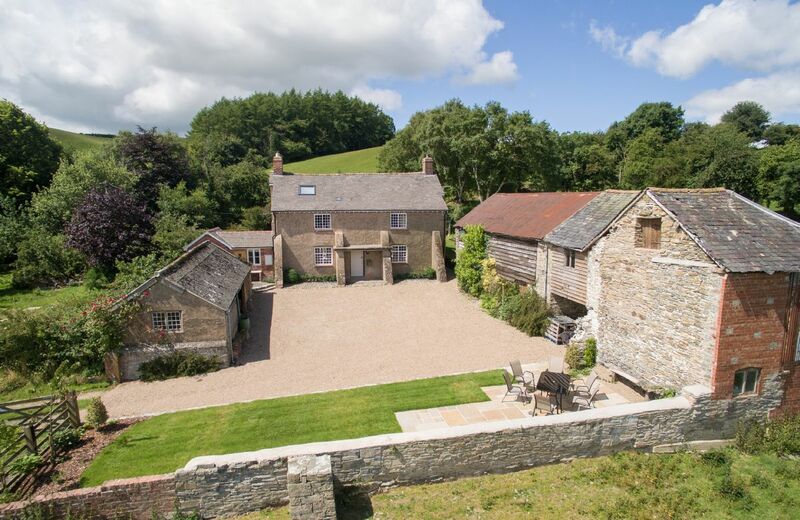 Delightfully situated in the 42 acres surrounding Limbury, a glorious 17th century Grade II listed farmhouse in the hamlet of Salway Ash, this fine cottage is approximately 2 miles from Bridport and 5 miles from beautiful beaches. 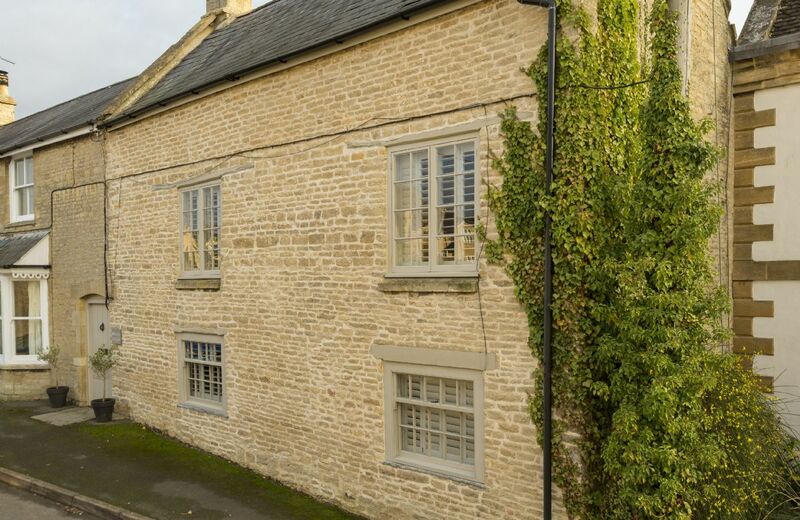 Hailstone Barn puts you at the heart of Cotswold country, with great walks in every direction and the town of Tetbury on your doorstep. This three bedroom house has been refurbished in a homely and contemporary style, creating a unique holiday home in a very special rural setting.